Prints, colors, lazy girl-approved trends, and more. If you're into fashion and/or great reality TV shows, then chances are you've watched (and loved) What Not To Wear. The show, in which people who need a style makeover are nominated by friends and loved ones to get said style makeover, was hosted by two of the most charismatic people in fashion: Stacey London and Clinton Kelly. Being someone who was obsessed with WNTW, I was hella excited when I got the chance to chat with none other than Clinton Kelly. He told me everything I wanted to know about fall trends, what makes for a great gift, and his feelings towards pumpkin spiced anything. 1. Turns out trees won't be the only ones rocking mustard yellow (you know, like, their leaves) during fall. We will be, too! 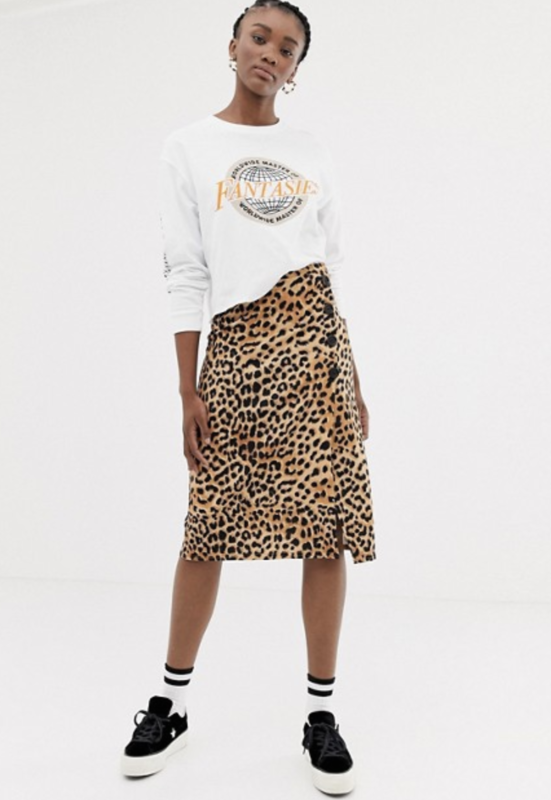 Add a hint of animal print to keep it interesting. 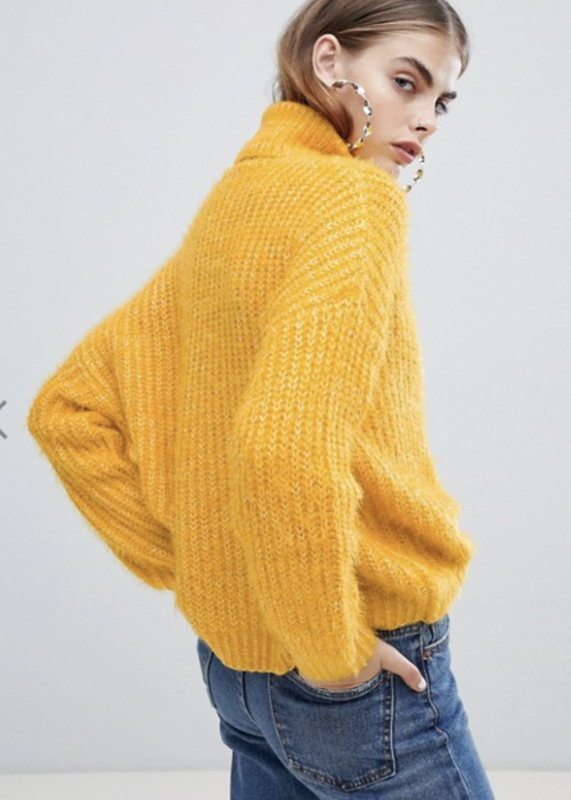 "One of the trending hues for fall is mustard yellow, and I love it because you can wear it as a pop of color with a great shoe or handbag, or take your entire look to the next level with a chic blazer or coat in the sunny shade. Animal print is back and it’s one of my favorite trends for fall. If you’re looking to play it safe, choose a wide belt, a great pair of booties, or a luxe handbag to rock the look. If you’re feeling bold, pair the print with jewel tones or mix with another print, like stripes, for runway-worthy style." 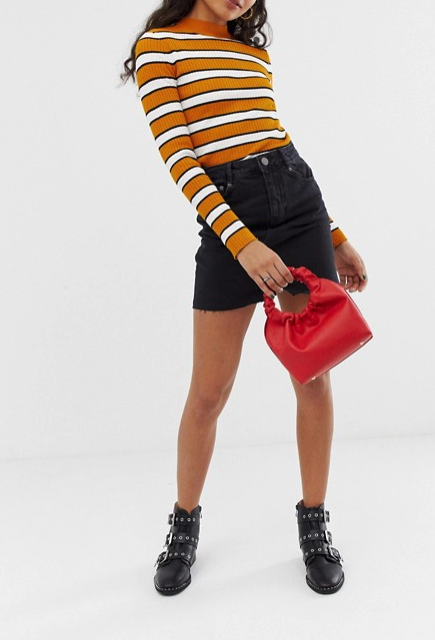 From left to right: You can get this yellow sweater from ASOS for $32 and the other sweater from Madewell for $98. 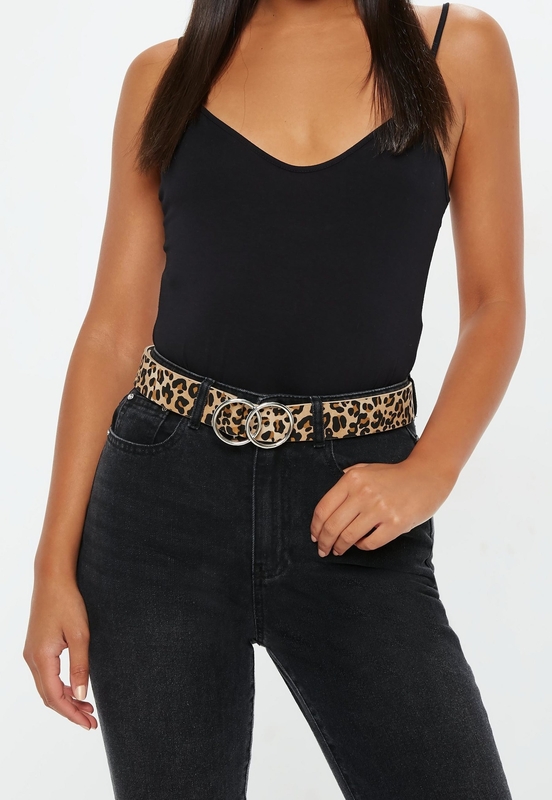 You can get the leopard belt from Missguided for $19, the shoes from Nasty Gal for $28, and the skirt from ASOS for $32. 2. Are you into fashion but also describe your style ~lazy chic~? Same! 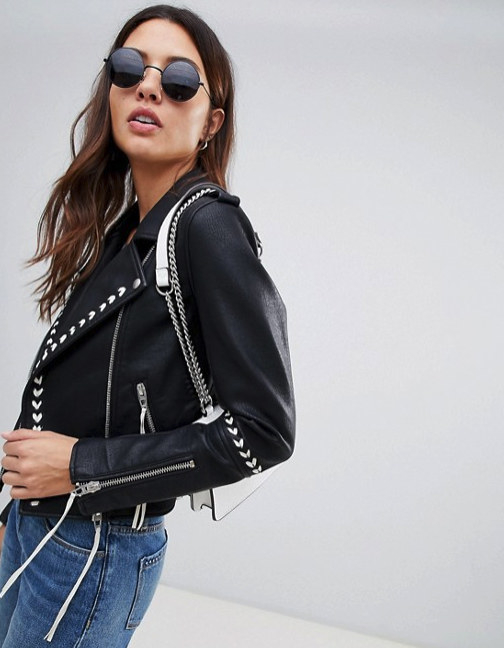 Just get a moto jacket (preferably with embellishments) and it'll turn any dull outfit into a cool look. 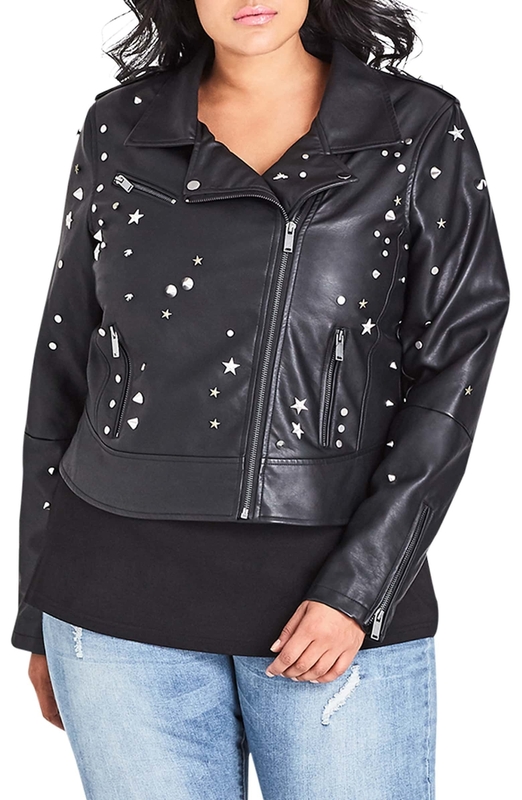 "My favorite must-have for an effortlessly chic look is a leather moto jacket in red, metallic or black with embellishments like studs and embroidery. It pairs well with anything in your closet and layer it over a plaid shirt to add warmth on a chilly day. It’s the ideal piece to make you look instantly pulled together and stylish." From left to right: you can get the leather jacket from Nordstrom for $99.50 and the other one from ASOS for $110.50. 3. When it comes to accessories, handbags with bold handles are in! 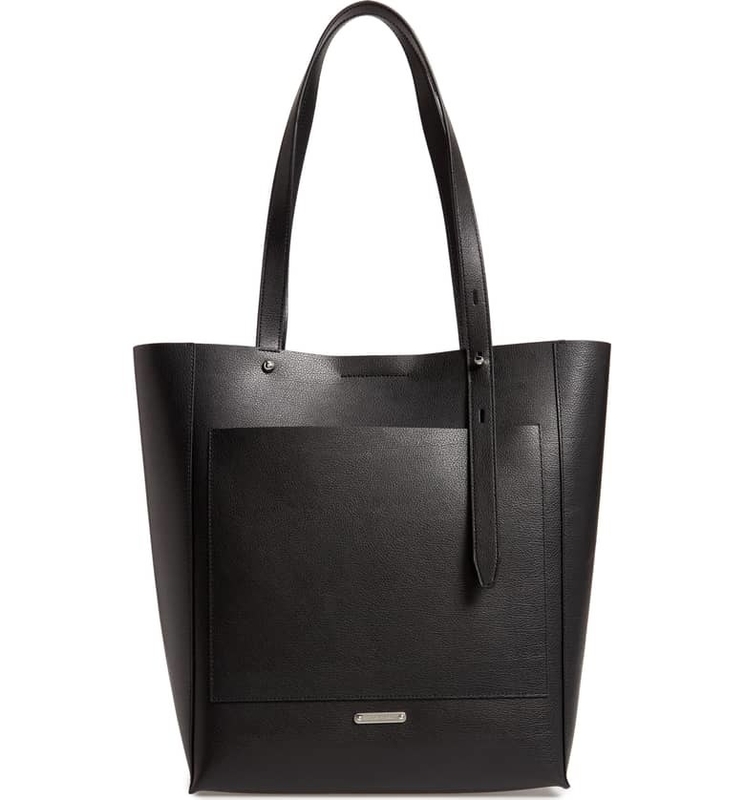 "A current trend for handbags includes a bold statement handle, like bamboo. They’re fun and practical!" Get the red purse from ASOS for $24.50 and the black Staud purse from Nordstrom for $210. 4. 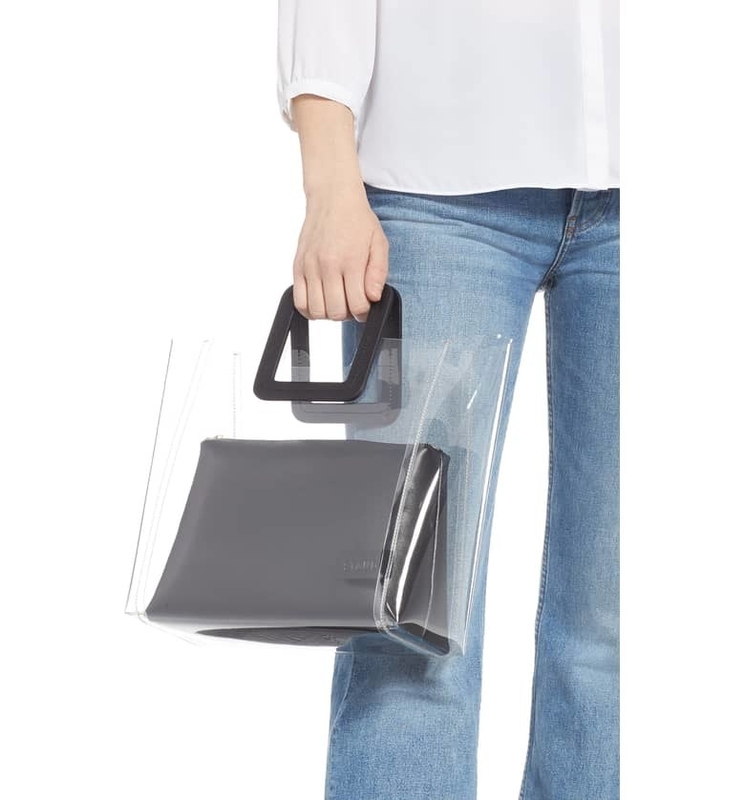 If you're on a tight budget but are looking to invest in something that'll last you forever, you should consider a oversized leather bag. 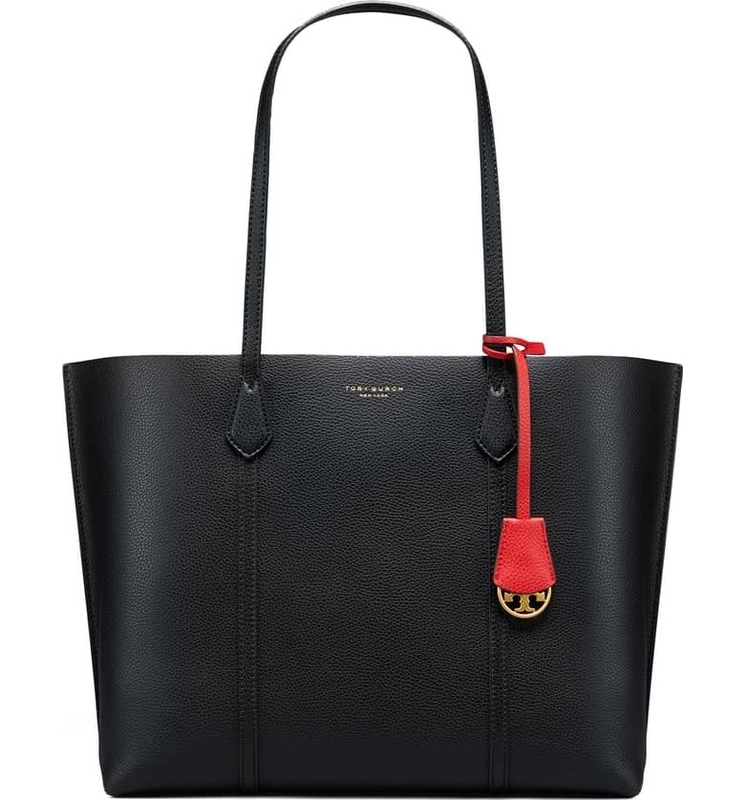 "A luxe leather handbag is always a great investment and oversized ones are very in right now. They’re perfect for the fall season and can easily transition throughout the year." From left to right: You can get both leather bags from Nordstrom, the Rebecca Minkoff for $198 and the Tory Burch for $348. 5. Transitioning from fall to winter = layers. Make sure you stock up on open sweaters, kimonos, and anything that'll make you feel warm and look cute. "I love layering pieces. They’re crucial to take you from fall to winter. 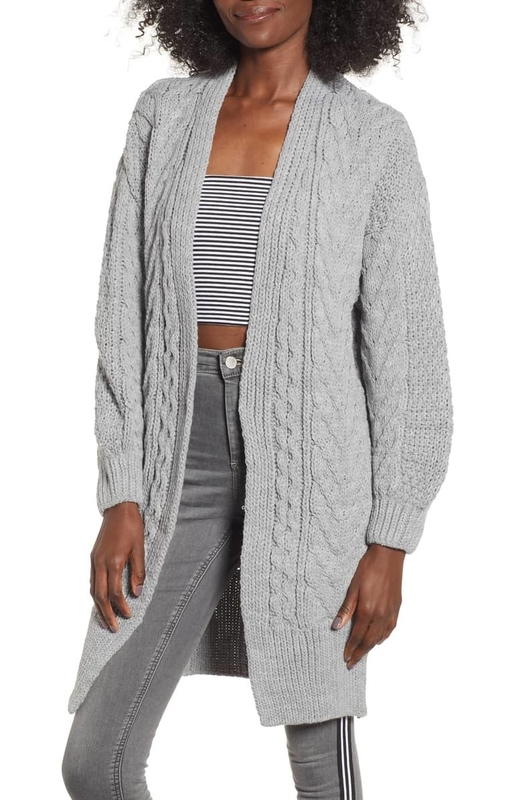 Open cardigans, kimonos and ruana wraps are all trending this season." 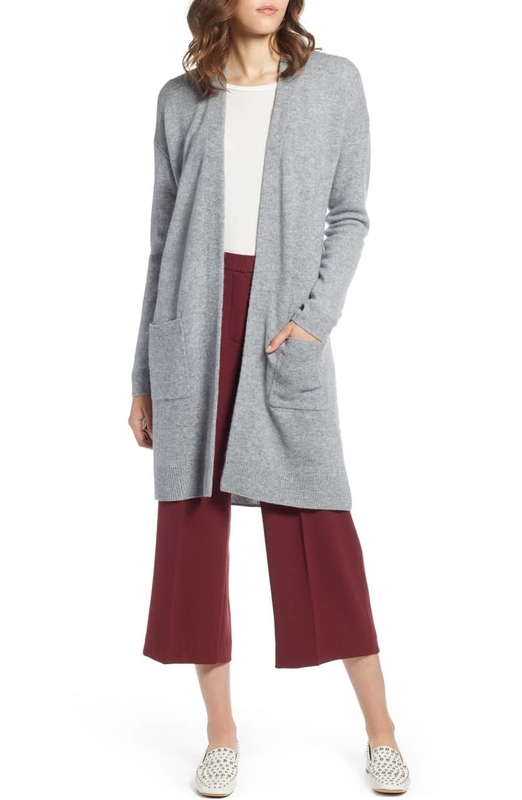 From left to right: You can get both open cardigans from Nordstrom, the slouchy-sleeved one for $45 and the cashmere one for $99.83. 6. 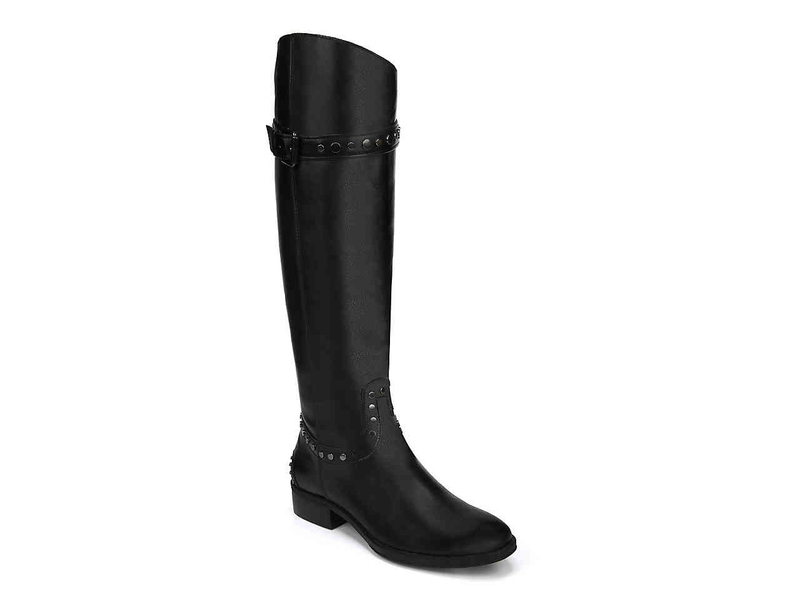 Tall riding boots should be your go-to for the cold months and the good news is that they'll never go out of style. 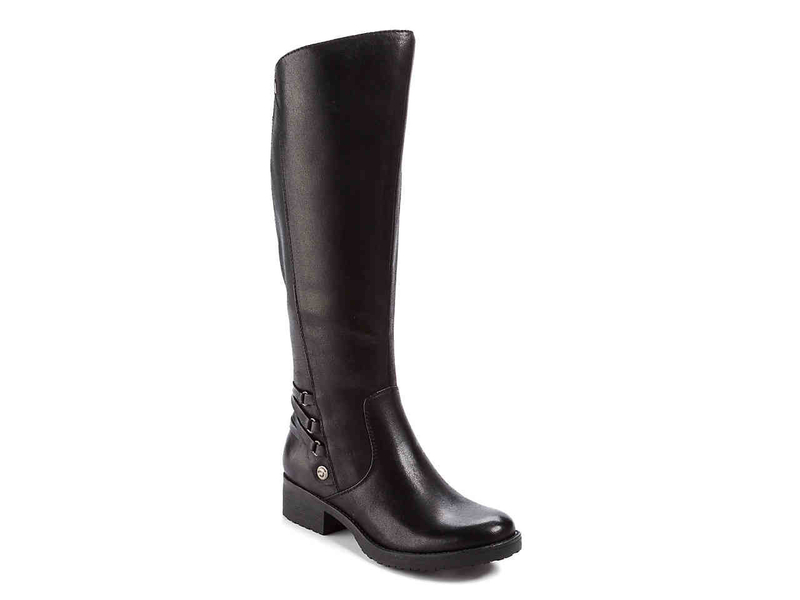 "A pair of classic tall leather riding boots is so versatile for the season – particularly in black or brown. I love them because you can pair them with anything like a great skirt, sweater dress or jeans." From left to right: You can get both pairs from DSW, the first one for $79.99 and the second one for $149.99. 7. 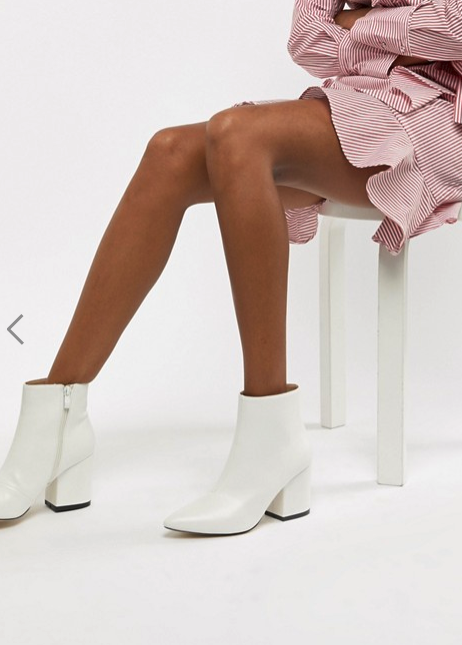 White boots are everywhere right now. The best way to style them is to think of them as a pair of black boots: they sorta go with everything. "Don’t overthink the white boot. Just pretend they’re black and go. Obviously, your white boots will last longer if you wear them on days when the weather isn’t nice." From left to right: You can get both pairs from ASOS the first one for $48 and the second pair for $103. 8. Need gift inspo? Go for a comfy and cozy robe. "This holiday season, I’m loving luxe leather gloves, cozy robes and beauty gift sets." From left to right: You can get the grey robe from TJ Maxx for $29.99 and the white robe from Parachute for $99. 9. Looking for a gift for a special guy in your life? 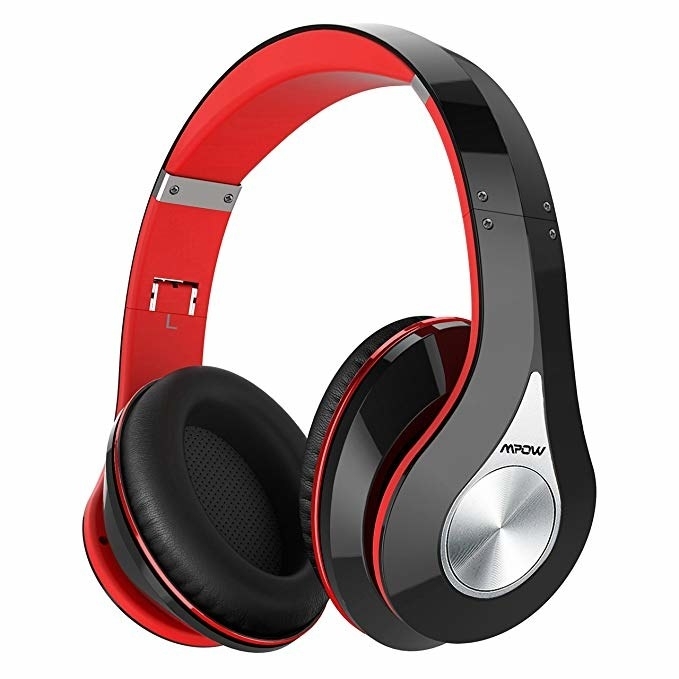 Get them something that's useful and practical, like a wallet or headphones. "When it comes to shopping for men, a wallet is always a great and useful gift. Also, items like headphones, barware or cologne are safe bets. My shopping hack for everyone on my holiday gift list, including my dog, Mary, is shopping at Marshalls! 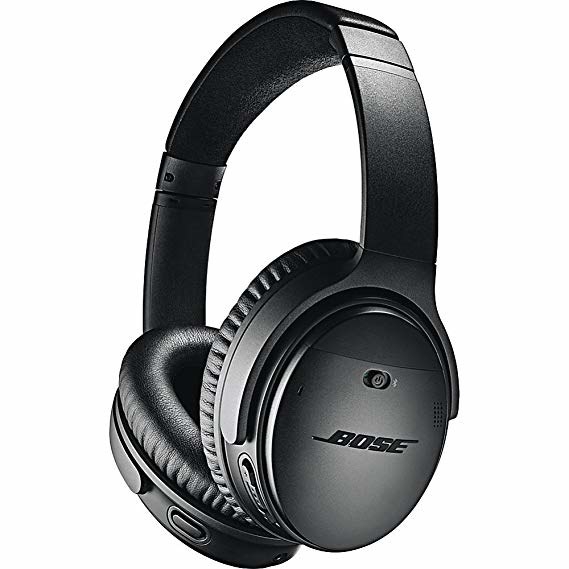 They have a little something for every person on my list and the prices are incredible! " From left to right: You can get both from Amazon, the first one for $34.99 and the second ones for $299. 10. And last, but certainly not least, when it comes to pumpkin spice, the official flavor of fall, Clinton is only a fan when it's edible. "Love it in pumpkin pie. Hate it everywhere else." Thanks for sharing you knwoledge with us, Clinton!